We are are a vibrant and diverse team of collaborators including people with dementias, their families and carers, scientists, clinicians, visual artists, writers, musicians and broadcasters. Read more about who we are below. Sebastian Crutch, Director of Created Out of Mind. Prof. Sebastian Crutch is Director of Created Out of Mind, a Chartered Psychologist (CPsychol), Professorial Research Associate, and Alzheimer's Research UK Senior Research Fellow. Seb's research has focused on the neuropsychological investigation of perceptual function and language in individuals with neurodegenerative disease and stroke. Particular interests include the exploration of visual disorders and disease progression in posterior cortical atrophy (PCA), and analysis of refractory access disorders, and abstract and concrete conceptual knowledge. 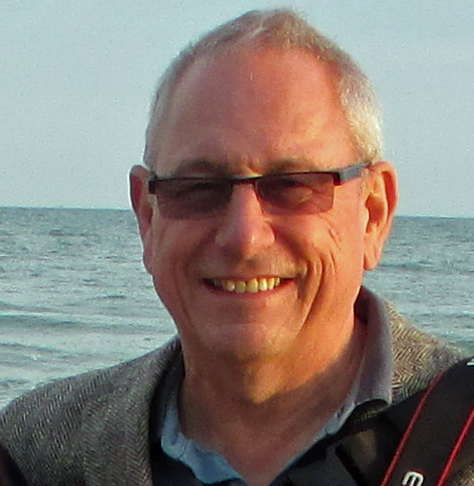 He has a particular passion for developing patient and carer support groups and helps run the PCA Support Group. He was awarded the 2012 British Neuropsychological Society Elizabeth Warrington Prize and 2015 Alzheimer's Society Dementia Research Leaders award. Caroline Evans is a communications and projects professional with a background in science, technology, engineering, and maths. Caroline has a varied professional experience that includes publishing educational books, managing high-profile events for broadcast, commissioning films, directing public communications campaigns and raising funding from public and private sectors. She has worked with senior stakeholders in Government, corporates, the BBC and Buckingham Palace and built up a unique range of skills and expertise. As Associate Director of Created out of Mind she works with Seb Crutch, the Director, to realise the ambitious vision for the project. Caroline Evans, Associate Director, Created Out of Mind. Emilie Brotherhood, Project Manager, Created Out of Mind. Emilie Brotherhood is the Project Manager for Created Out of Mind. She is responsible for the day-to-day management within the project, ensuring that the project delivers outputs and findings which align with Created Out of Mind’s principle aims. Emilie is working towards a part-time PhD investigating virtual reality as a tool to assess behaviour and social interactions in people with and without frontotemporal dementia. Kailey Nolan is responsible for delivering a strategic communications plan to engage the key aims, research and activities of the Created Out of Mind team across diverse audiences, including people living with dementias, their carers & families, researchers, charities, artists, policy makers, media and the public. Kailey has over 5 years of communications and public engagement experience across science, tech, health and cultural sectors. She has a BA in English Literature from Royal Holloway, University of London. Kailey is passionate about contributing to a more inclusive society; leading on events and initiatives to ensure science and health research reach diverse and marginalised groups. Kailey Nolan, Communications Manager, Created Out of Mind. Janette Junghaus, Project Coordinator, Created Out of Mind. Janette Junghaus is responsible for providing day-to-day support for the Created Out of Mind team, coordinating collaborative operations with Wellcome Collection and assisting with the organisation of dementia support groups. Janette also coordinates the UCL DRC research team; managing various administrative tasks including recruitment and ethics processes. Janette has a background in languages and a fascination with the human brain. These interests led her to complete a part-time Masters in Neuroscience, Language and Communication at UCL in 2014. Her research during this time focused on multilingual language recovery in post-stroke aphasia. Janette undertook her studies whilst continuing to tread the professional path of a PA in luxury interior design and architecture. Her background also includes working in Fashion & Lifestyle PR, running professional networks, and teaching in Japan. As Hub Partnership Manager at Wellcome, Harriet Martin looks after The Hub, a dynamic space on the 5th floor of Wellcome Collection where Created Out of Mind are in residence until Summer 2018. Harriet works closely with Seb, Caroline and the team, helping them achieve the aims of their ambitious project and make the most of their time here. She also explores how public-facing research might challenge disciplinary boundaries and how interdisciplinary residents can experiment with new forms of collaboration, research and public engagement. Before the Hub, for the past decade Harriet has worked in public engagement, festival and event programming, and project management for a range of museums, universities and charities in Bristol and London. Harriet Martin, Hub Partnership Manager, Wellcome. Tony Woods, Hub Partnership Manager (Maternity Cover), Wellcome. Tony is the Hub Partnership manager for 2018 (maternity cover for Harriet Martin). Tony manages the Hub space, liaises with key stakeholders to deliver a rich programme of internal and external events, activities and aims to develop key relationships between The Hub team, Wellcome Collection stakeholders, Wellcome staff and its network of researchers, to support the dissemination of Hub outputs. Tony is a physiologist who has returned to Wellcome after 5 years working for a number of research charities. Prior to this he was Head of Medical Humanities and Engagement Grants and was the original project manager for the Hub back in 2011/12. Bridie is part of The Hub team at Wellcome. She helps with developing and delivering Hub projects and events with a range of internal and external audiences and partners. She is particularly interested in how different forms of collaborative and publicly situated research can influence and inspire practise across disciplines. Bridie has a Masters in International Relations and experience working for the World Health Organisation and a number of film festivals across the UK and Europe. Julian West*, Co-Director, Created Out of Mind and Head of Open Academy, Royal Academy of Music. Julian is currently Head of Open Academy, the Royal Academy of Music's creative learning and participation programme. Over the past 20 years, he has combined a career as an oboist with developing ground-breaking creative learning and participation projects for many organisations, including Wigmore Hall, Glyndebourne Opera, Britten Sinfonia and Spitalfields Music. Julian now specialises in research in the field of music and dementia, and what we can learn from artists and people with dementia working together creatively. He will be leading on several participatory arts and wellbeing projects for Created Out of Mind. Julian's practice is characterised by the forging of meaningful connections with and between those he is working with; the resulting work is not only for, about, and in response to the people involved, but could not exist without them. Paul Camic, Co-Director, Created Out of Mind and Professor of Psychology and Public Health, Canterbury Christ Church. Dr Paul Camic is a Consultant Clinical Health Psychologist, Professor of Psychology and Public Health at Canterbury Christ Church University and Research Director at the Salomons Centre for Applied Psychology in Tunbridge Wells. His research interests include investigating the social and psychological impact of community-based programmes involving the arts, galleries and museums with older people and those with dementia. Paul is a Professorial Fellow of the Royal Society for Public Health, founding co-executive editor of the journal Arts & Health and Co-editor of the Oxford Textbook of Creative Arts, Health and Wellbeing (Oxford Univ. Press, 2016). Websites: www.lifeofobjects.org & www.canterbury.ac.uk/profile/paul-camic Twitter: @PaulCamic. Charlie Murphy, Co-Director and Visual Artist, Created Out of Mind. Charlie Murphy is a visual artist at Created Out of Mind. Her practice embraces glass, light, sculpture, photography, performance and video - creating installations, public engagement events, performances, screenings and exhibitions. Widely known for her popular touring ‘kiss-in’ events, her projects often involve participation and collaboration of some kind. Charlie has developed projects for many different festivals, galleries and public contexts in the UK and internationally. An experienced arts educator, Charlie also contributes to BA and MA programmes at The Royal College of Art, University of Gloucestershire, Anglia Ruskin, University College for the Creative Arts, and is a senior lecturer in Photography at Kingston University. Fergus Walsh is the BBC's Medical Correspondent. Fergus’ work includes reporting for Panorama, the world’s longest running investigative TV programme, the Today programme and Radio 5 Live. His blog, Fergus on Flu, which examined the H1N1 swine flu pandemic, was relaunched in June 2010 as Fergus's Medical Files, which takes a broad look at medical and health issues. Fergus has reported for the BBC from more than two dozen countries on topics such as stem cells, genetics, obesity, HIV/AIDS, malaria, TB, and swine flu. He is a firm supporter of the importance of medical volunteers and has taken part in several patient trials, including having his genes sequenced and his brain, heart and other vital organs scanned, as part of television reports. 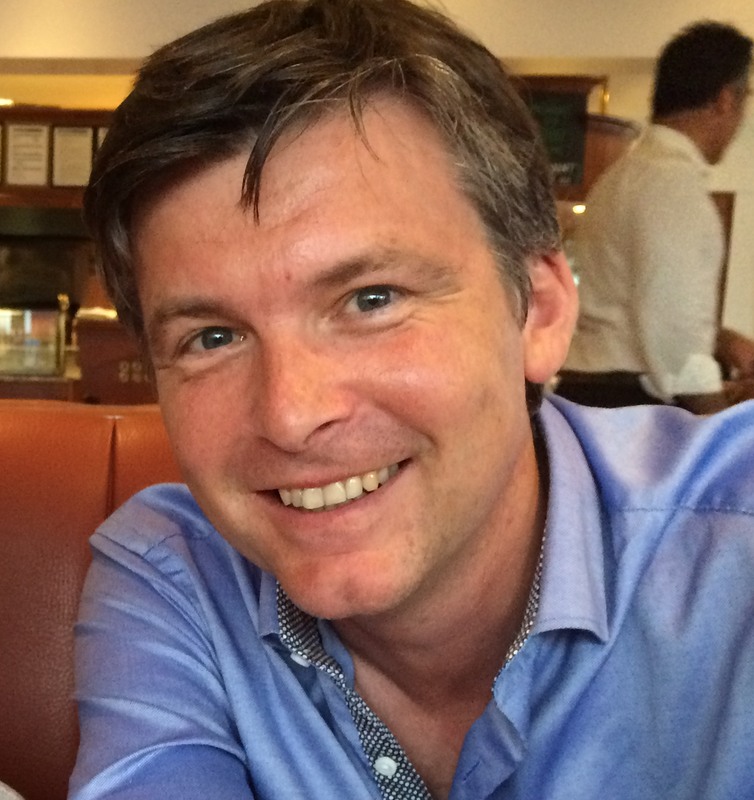 Fergus Walsh, BBC Medical Correspondent. Gill Windle, Co-Director, Created Out of Mind and Senior Research Fellow, Bangor University. Gill Windle is a Senior Research Fellow in the Dementia Services Development Centre (DSDC) at Bangor University. Gill’s research combines arts, science and public engagement to examine how, and indeed if, older people can manage to ‘live well’ despite health problems and cognitive impairment. She is currently involved in the management of four large UK research council-funded studies, aiming to improve the lives of older people, and has a leadership role in the new Centre for Ageing and Dementia Research. 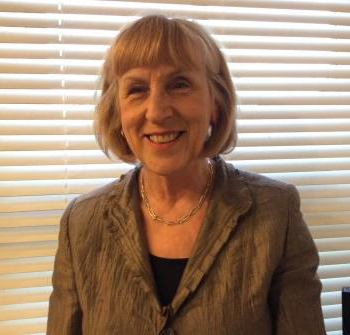 Gill is active in Welsh policy development and has co-authored a number of literature reviews to inform the development of the Strategy for Older People in Wales and the Healthy Ageing Action Plan. Philip Ball is a freelance science writer. His writings on science for the popular press have covered topical issues ranging from cosmology to the future of molecular biology. Philip has written widely on the interactions between art and science, and is the author of many popular books on topics including the nature of water, pattern formation in the natural world, colour in art, the science of social and political philosophy and the cognition of music. Philip is currently a contributing editor of Prospect magazine and a columnist for Chemistry World, Nature Materials, and the Italian science magazine Sapere. He also presents "Science Stories" on BBC Radio 4. Nick Fox, Professor of Clinical Neurology, UCL. Nick Fox is Professor of Clinical Neurology, Director of the Dementia Research Centre at UCL’s Institute of Neurology and honorary consultant neurologist at the National Hospital for Neurology and Neurosurgery. He runs a busy cognitive clinic that receives referrals from across the UK. He has a particular interest in improving the diagnosis and support in young onset and familial dementias and helped establish the first UK support groups for familial Alzheimer’s disease and for young onset dementias. Nick has several policy and advocacy roles. 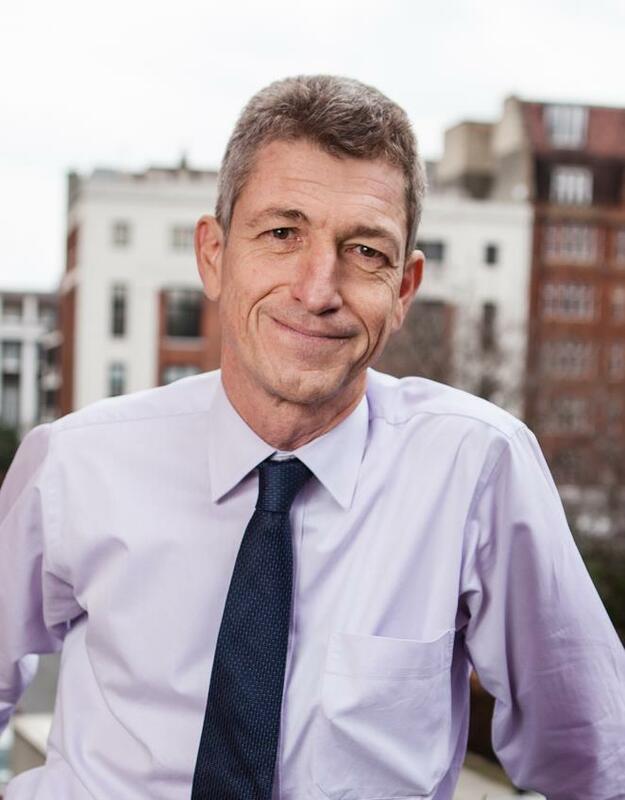 He serves on the steering group of Dementias Platform UK, was a member of the Prime Minister’s Dementia Research Champions Group and chairs UCL’s Dementia Strategy Board. He co-chairs the Alzheimer’s Society’s Research Strategy Council. Charlie Harrison has been collaborating with researchers and building projects that foreground the creative strengths of people with different forms of dementia for the past 3 years. Charlie's background is in painting, sculpture and installation and his work aims to challenge everyday perceptual and material expectations of objects and space. His current research is focused on characterising creativity through singular gestures and he is also studying the curious intersections between neuropsychological testing and conceptual art. Charlie's work has been displayed throughout the UK and Europe. Charlie Harrison, Artist and Honorary Researcher, Created Out of Mind. Hannah Zeilig, Senior research fellow, UAL. Dr Hannah Zeilig is a senior research fellow at the University of the Arts, London (UAL) and also a visiting research fellow at the University of East Anglia (UEA). Hannah’s research interests include the ways in which the arts are used for people living with a dementia in the community and in care homes, ways of talking about dementia and representations of age and ageing. In her work, she combines the theoretical with the practical incorporating insights from the arts, the humanities and the social and medical sciences. Above all, she is interested in collaborating with people with a dementia and finding ways to understand and talk about the condition. Susanna Howard, Writer, Actor and Maker; Founder of Living Words. Susanna is a writer, actor and theatre maker who founded and now runs the charity Living Words. Since 2007 they have run care home residencies - co-creating one-to-one with people experiencing a dementia, and leading workshop programmes with care home staff and relatives. In response to the work that comes from these residencies, Living Words create anthologies, events and performances to challenge assumptions around dementia and communication. Susanna’s practice is enquiry driven and currently preoccupied with what it means be an artist working in this field; what equality in communication looks like; and what the barriers to access are in supporting self-expression through the arts. Her work grapples with this intent. Additionally, Susanna co-curates Normal? Festival of the Brain in Folkestone. Emma Harding, PhD student, UCL DRC and Created Out of Mind. Emma Harding is currently a research assistant and PhD student on the ESRC/NIHR funded project ‘Seeing What They See’ at the Dementia Research Centre, UCL. Her PhD research focuses on the psychosocial impact of Posterior Cortical Atrophy, a rare form of dementia affecting visual processing. In particular she is interested in insight, feelings of usefulness and social isolation. Her broader interests are in capturing subjective meaning in standardised measures, and so she will also be critically reviewing Quality of Life questionnaires designed for people with dementia. Emma completed her Foundation Diploma (Fine Art) at Chelsea College of Art before her BSc (Hons) in Psychology at Royal Holloway University of London. Janneke van Leeuwen is a neuropsychologist and artist in residence at Created Out of Mind. She is interested in how we give meaning to the world around us. During the Wellcome Collection Hub residency, Janneke will work on her PhD research which will explore the relationship between visual art, identity and the brain, in people diagnosed with different forms of dementia as well as neurologically healthy people. The research is in collaboration with the Wellcome Collection, UCL Institute of Neurology in London and the Gerrit Rietveld Academie in Amsterdam. Janneke van Leeuwen, Neuropsychologist and Artist, Created Out of Mind. Dr Nicholas Firth is a postdoctoral research associate in the Progression of Neurodegenerative Diseases (POND) group at UCL. Nick’s research has focused on computational modelling of life science data. Currently his research interests include computational modelling of cognitive decline in dementia, adoption of voice-controlled devices in the home to increase independence of people with dementia, and language used when describing dementia. Before coming to UCL Nick worked at The Institute of Cancer Research where he wrote tools to automatically design molecules for cancer drug development projects. Dr Selina Wray is an ARUK Senior Research Fellow in the Department of Molecular Neuroscience at the UCL Institute of Neurology. Her research uses human stem cells to create "Dementia in a Dish" models to study neuronal dysfunction in Alzheimer's Disease and Frontotemporal Dementia. Selina Wray, ARUK Senior Research Fellow, UCL. Millie van der Byl Williams, Research Assistant, Created Out of Mind. Millie is a philosophy graduate who has recently finished a Masters in Health Humanities at UCL. She became interested in the connection between dementia and philosophy while volunteering with the Alzheimer’s Society and has explored this connection further in her Masters. Millie works with the Story of Dementias team using the Wellcome Library archives and wrote her dissertation on the philosophical concepts underlying the dementia discourse in asylum case books. She is particularly interested in the philosophical concepts of self and personhood in dementias and how philosophy influences our understanding of dementias. Dr Keir Yong is a Research Associate whose interests lie particularly in investigating perceptual impairment experienced by individuals with neurodegenerative disease, ultimately to develop aids and strategies to minimise the effects of such impairment. Keir's current research involves combining approaches of neuropsychological, engineering and social science disciplines, with methods ranging from assessments of visual cognition, analysis of gait, physical location and activity and semi-structured interviews. This work aims to better understand the everyday consequences of perceptual impairment and its implications for device and/or environmental accessibility. Keir Yong, Postdoctoral Research Associate UCL. Brian Day, Professor of Motor Neuroscience, UCL. Brian Day is Professor of Motor Neuroscience at the Institute of Neurology, University College London where he directs the Whole-body Sensorimotor Laboratory. He trained initially in Mechanical Engineering and in 1979 he switched fields, becoming increasingly fascinated by how the human brain controls movement. Since then he has been at the forefront in the development and application of a number of non-invasive techniques for probing sensorimotor neural mechanisms in people. Brian has studied many different aspects of motor control in people who are either healthy or suffer from a wide range of neurological diseases. His current research is devoted to understanding multi-sensory processes that control and integrate whole-body motor activities. Rica Mengoudi is a PhD student in the Progression of Neurodegenerative Disease (POND) research group at the Centre for Medical Image Computing, UCL. After completing her undergraduate studies in Mathematics at Aristotle University of Thessaloniki, she obtained a Master’s Degree from University of St Andrews, specialising in Applied Statistics and Data-mining and she worked in cooperation with the School of Psychology and Neuroscience in St Andrews. Her research focuses on applying statistical and machine learning techniques to multi-modal sensors data to investigate the effect of various cognitive and artistic stimuli on dementia patients’ bodily responses. Rica Mengoudi, PhD Student, UCL. Mary Pat Sullivan, Director of Social Work at Nipissing University. Dr Mary Pat Sullivan is a registered social worker and social gerontologist, and Director of Social Work at Nipissing University in North Bay, Ontario. She is also an Honorary Senior Lecturer at the Dementia Research Centre, University College London. Her principal research interests are focused on the social context of ageing and older age including geriatric mental health, dementia care, social isolation and loneliness, elder abuse, ageing without children and gerontological social work education and practice. She is currently a co-investigator with Sebastian Crutch on the ‘Seeing What They See’ study and Nicholas Firth on the ‘Echoes around the Home Project’. Simon Ball is a filmmaker and animator based in London and Berlin . He has a BA in film and media production, a Masters in Digital Arts and over ten years of experience working across film, television and commercial animation. As an artist, Simon’s work investigates film and animation as experiential mediums. Many of his projects are inspired by urban spaces and how we relate to environments both physically and psychologically. His films have shown in galleries, festivals and exhibitions including Tate Modern, Barbican, Satchi Gallery, London Short Film Festival and Open City Docs Fest. Simon has been working with Prof. Sebastian Crutch to develop this film as part of the research project ‘Am I the right way up?’. More at www.simon-ball.com. Esther Jones, Professional Musician and Deputy Musical Director of NYCGB. Esther Jones is a professional musician specialising in choral music and education, and a Project Lead for Created Out of Mind. In addition, she is Deputy Musical Director of the National Youth Choirs of Great Britain and Acting Artistic Director of London Youth Choir. Other recent engagements include working as a tutor on BBC's The Choir: Sing while you work with Gareth Malone, conducting Britten’s A children’s crusade at Aldeburgh International Festival, and chorus-mastering NYCGB singers for an award-winning performance of Britten’s War Requiem conducted by Marin. Esther studied music at Oxford University and choral conducting at the Royal Academy of Music, where she was the first Open Academy Fellow and now teaches part-time. Artist, singer and electronic composer, Hannah Peel created the critically-acclaimed album ‘Awake but always dreaming’, a record about memory: the luminous and beautiful formation of memories and the devastating loss or slow, insidious damage to the mind. The album was born out of both her personal experiences with dementia and discussions with Selina Wray, a dementia researcher at University College London and Created Out of Mind collaborator. Through Selina, Hannah was able to see the complex nature and beauty of dementia cells close up, and was inspired to express this through music. As well as her solo album, Hannah has released several collaborative singles and albums, and also created the music for the moving 'Santa Forgot' advert for Alzheimer's Research UK. Hannah Peel, Artist, Singer and Electronic Composer. Alex Julyan, Artist and Wellcome Trust Engagement Fellow. Alex Julyan is an artist and Wellcome Trust Engagement Fellow who works independently and in collaboration. Her singular studio works sit alongside interdisciplinary projects and live events informed by music, language, architecture and science. Alex's work is often fleet of foot - ephemeral experiences, publications and interventions that spill into the public domain. A delight in disruption and contradiction is underpinned by a desire to connect to the ordinary stuff, to question the norm through a rigorous and formal engagement with ideas, materials, sites and processes. By engaging multiple voices from different perspectives her work aims to connect outwards, across disciplines and into our daily lives. Jason Warren is Professor of Neurology in the Dementia Research Centre at UCL and a consultant neurologist. Jason’s research explores how changes in brain function in different forms of dementia produce complex problems with communication, social and emotional behaviour; how these changes can best be measured and how they can be used for diagnosis. His research group uses a variety of tools to tackle these questions including cognitive and behavioural testing, physiological recordings and structural and functional brain MRI. Music and speech have been a particular focus of Jason’s research; these specialised sounds provide unique insights into the brain in dementia and how particular abilities can be retained. His group has also investigated emotional responses to visual art, social signals and bodily awareness in people with dementia. Daniel Lai, Clinical Psychology Doctorate, Canterbury Christ Church University. Daniel Lai is a Trainee Clinical Psychologist at the Salomons Centre for Applied Psychology in Tunbridge Wells, part of Canterbury Christ Church University. He has a BSc degree in Psychology from University of Kent and an MSc in Psychology from Newcastle University. He has previously worked as a research associate in The Hong Kong Polytechnic University mainly working with elderly, people with dementia and their caregivers. Daniel is interested in exploring ways to promote well-beings of people with dementia and their caregivers. He is currently a co-investigator in a home-based music-with-movement intervention project and also a cross-cultural dementia caregiver burden project. His thesis topic will be on using video analysis technology to investigate the effect of music on people with dementia. Harry trained as an actor at The Royal Central School of Speech and Drama and has since worked extensively on stage and screen. In 2015 he wrote/directed and starred in the feature film ‘Hinterland’ which played at festivals all over the world and was long-listed for two BAFTA Awards. Harry Macqueen is the current recipient of the Wellcome Trust 'Broadcast Development Award' and is working closely with Sebastian Crutch and the Created Out Of Mind team on the script of his next film ‘Supernova’. Harry Macqueen, Wellcome Trust Fellow. Amy Clare, Clinical Psychology Doctorate, Canterbury Christ Church University. 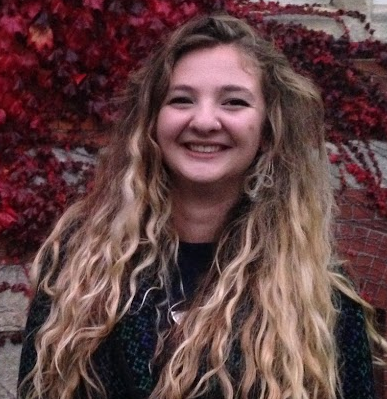 Amy Clare is a Trainee Clinical Psychologist at the Salomons Centre for Applied Psychology in Tunbridge Wells, part of Canterbury Christ Church University. She is planning to do my major research project as part of a meta investigation of a music for life group for people with dementia. Amy has a background as a Speech and Language Therapist within a range of areas including learning disability services and neurology. She also has a background as an assistant psychologist within acute dementia services. Maria has a professional social work and academic background. At Oxford Brookes University, she helped set up the Oxford Dementia Centre eventually becoming Director, a post she also held at the London Centre for Dementia Care, UCL. This was followed by leadership and consultancy roles with major dementia care providers. Maria then embarked on connecting her passion for improving quality of life in dementia with a life-long love of the arts which led to her becoming Chief Executive of Creative Dementia Arts Network. She is a member of the Journal of Dementia Care Editorial Group and the British Society of Gerontology and a Fellow of the Royal Society of the Arts. Laura Dickens, Clinical Psychology Doctorate, Canterbury Christ Church University. Laura Dickens is a Trainee Clinical Psychologist at Canterbury Christ Church University. For her thesis she is looking at object handling in people with dementia and the impact this may have on cognition and wellbeing. Laura has a BSc in Psychosocial Sciences from the University of East Anglia and an MSc in Experimental Psychology from the University of Sussex. She has previously worked in a range of neuropsychology NHS and charity settings for people with acquired brain injury, stroke, and dementia. Laura is interested in exploring ways to promote quality of life for people with dementia and their families. Dr Claire Garabedian, a professional cellist and certified music practitioner, holds the uniquely titled post Associate Researcher in Creative Arts and Dementia at the University of Worcester. She is currently evaluating several creative arts and dementia projects and is part of the supervisory team for ‘TAnDem’ (The Arts and Dementia) the Nottingham-Worcester Universities Doctoral Training Centre. Claire is in high demand as a guest lecturer and presenter regarding the use of creative arts with people living with dementia/nearing the end of life as well as their caregivers throughout the UK and internationally. She is frequently invited to speak on related current events on BBC radio. Claire Garabedian, Associate Researcher in Creative Arts and Dementia, University of Worchester. Philippa Bourne, Clinical Psychology Doctorate, Canterbury Christ Church University. Philippa Bourne is a Trainee Clinical Psychologist at the Salomons Centre for Applied Psychology in Tunbridge Wells, part of Canterbury Christ Church University. She has a BSc degree in Psychology and has worked in the NHS for over 5 years in a diverse range of psychological settings. Philippa’s interest in neurology and neuropsychology began when working in a busy clinical neuropsychology team, spanning inpatient and outpatient services in the north of England. Her passion for this area led her to pursue a neuropsychology based research project for her psychology doctorate, focusing on the impact of choral singing on people with dementia. Ivanna is a Neuroscience Research Assistant and a Part-time PhD Student. Her PhD work focuses on the use of eye-tracking as a marker for the diagnosis and progression of specific neurodegenerative diseases. She is part of the Posterior Cortical Atrophy (PCA) team at the Dementia Research Centre and is a member of the ReadClear team, an app designed to assist reading in PCA and other conditions that impair vision. Part of her role includes designing new eye-tracking experiments in different cohorts. She is also the facilitator of the Familial Alzheimer’s disease group for Rare Dementia Support. Ivanna completed her Bachelor’s in Biology at Université de Lausanne in Switzerland and a Masters in Translational Neurology at UCL.